Something I've promised many who asked, been a long time coming, but I figure this recent piece can finally be of help since its been received relatively well. It is no easy feat to make a informative yet concise-enough process /tut but regardless I hope it helps someone out there along in their journey in art and design. This is especially visible from your 3rd image, which is already gorgeous though you're not even halway through your process. Awesome tutorial, thank you for making this. The similarities of your methods to a 3D rendering really clicked with me. tyvm .. not a great friend but thanks ! the most talented person I've seen also a great friend, I like the way you've improved your skills , i like every lapse, cheers!!! hey man. im working in singapore now. do u play 40k? lets get a game someday. Here is my result of walkthrough your tutorial i.imgur.com/DFLjFk0.jpg Many thaks for sharing this! 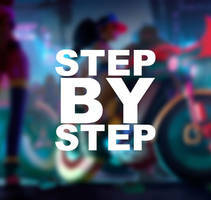 Could you please do more tutorials even without description of the steps? Very informative tutorial. Thoughtful and in-depth commentary on each step of the process. Thanks! Man.. this is a sueprb ( and very well explanied) piece!. Congrats! I came across to comment second time after finish reading this.Hope you don't mind my comment as a humble artist.I still confirm this is a great tutorial,one of the best ever I came across internet.Anyway for not a 'hyperreal' or 'realistic' light approach I would said the part of real that make people belief and imagination or concept it's work like you said but for me I 've very loose line for good image that may base on real or what make people belief but sometimes it isn't,or less real as long as it can capture feeling of making people believe.It can be nonexistence stuff in this world even abstract or surrealism. btw part of analogy or metaphor as photography,it is so creative bacause some of it such as composition and space have got same rule,like rule of third or golden ratio. It isn't try to offense or argument just would like to express my point as lineart base artist.I still suggest if you do artbook especially come up with tutorial I will buy this because it is totally worth,thank you for sharing very great pieces of information and tutorial for us here. Thank you for uploading something very helpful like this. Your workflow looks tiring, I always wondered how one adopted such a realistic style. I will try this workflow, it seems very good. Dude, I love your workflow. So much more disciplined than mine lol. I just bounce between all the steps you listed in random order depending on my attention span. Fantastic tutorial. Thanks for spend your time doing it for us! thank you. I thought it was in 3d! Great insight into your process. Thanks for sharing! thanks a lot. I'd really call it in-depth. This deviation is a treasure! Amazing tutorial, thank you for this! Definitely fav'ing this. I love seeing the process done, especially with the fantastic written instructions. Thanks a lot! Really great that you wrote all your thoughts through stages and motivation for particular choices. Quite interesting and educating. It's very informative,concise,well written and easily reading while typography didn't distract the beautiful of image.This must be hard working,Very brilliant and thank you very much for your kindness to wrote this to deviant.Kudos and I hope your courses are going well.